Scent: Musky, woody, and rich with floral undertones. Action: Aphrodisiac, antidepressant, analgesic, antispasmodic, nervine, stimulant, carminative, stomachic. Benefits, Indications: Aches, stiffness, poor blood circulation, cramps, fatigue, low blood pressure, anxiety, depression, nervous tension, stress-related conditions. Ambrette is a calming, grounding, oil, with it's real value being in perfumery, or the development of aphrodisiac / unisex / musk blends where it will add deep, provocative, notes without a distinct feminine influence, which is rare in aphrodisiac blends, which are typically quite feminine. Precautions: Avoid use of the oil if it has oxidized. No known contraindications, but care should be taken as with all oils. 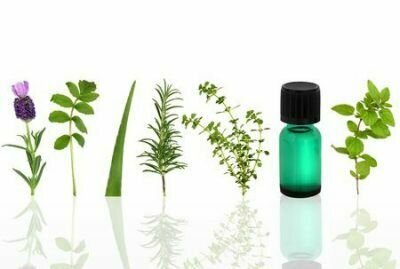 Screening of some essential oils against Trichosporon species.